Composer of the month of June…Irina Gorin! Irina Gorin was born in Kiev, Ukraine, and holds Masters Degrees in Piano Performance, Piano Pedagogy, Chamber Ensemble, and Accompaniment. 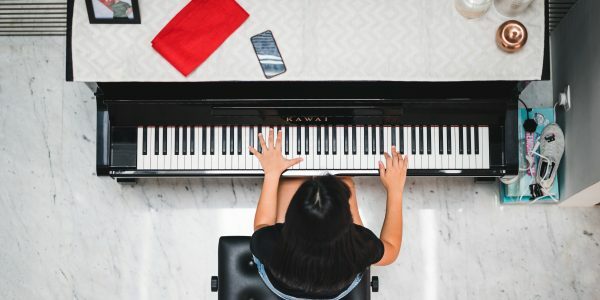 She comes from the “Russian School of Piano Playing” known for its impeccable technique, musicality, and the strict discipline required to follow this method. After moving to America, she noticed drastic differences in the teaching styles of teachers in Ukraine vs. America. This spurred her to develop her own teaching material for beginning piano students which combines the best of the musicality, careful listening, and technical skills emphasized by the Russian school with Western ideas, along with Irina’s creative, imaginative stories. Irina is also the founder of Carmel Klavier International Competition and Festival for Young Artists in Carmel, Indiana (just completed its 4th annual competition). This competition is open to competitors of any nationality between the ages of 5-18 years. In the summer of 2015, I went on a 9hr roadtrip from Toronto with a couple of other curious piano teachers to Fishers, Indianapolis, Indiana, to spend a few days at a workshop led by Irina. This series is the culmination of her years of teaching young beginners, combining the best of Russian and American schools of methodology. Tales of a Musical Journey is written in the style of a chapter book and parents are encouraged to read the stories to their children about characters in the Magical Kingdom of Sounds including King Meter, Princess Melody, Fairy Musicalina, Wizard Metronome and Prince Rhythm. Book 1 introduces concepts such as a freedom and flexibility of all upper body parts, tone production, patterns of black and white keys, directional reading and the musical staff. Since reading is not introduced until halfway through the book, students begin with listening and developing correct movements first. These basic skills set a solid foundation for musical playing. Book 2 continues developing technical skills with more emphasis on articulation an reading notated music. Both hardcopy books come with CDs (USA only) with digital options for digitally downloaded books or books sold outside the USA. Although both books are geared toward younger beginners (4-6yrs), the concepts are applicable to any beginning student and transfer student. I highly recommend exploring Irina’s Youtube channel, and her two method books “Tales of a Musical Journey” to new ways of developing musicality and a solid technical foundation in any piano student.